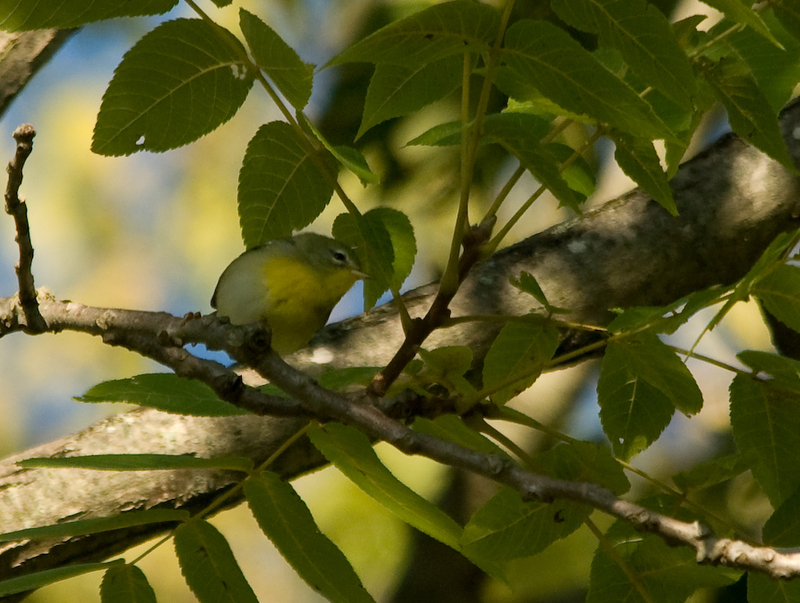 This morning I ventured down to the south side of Indianapolis to bird with Eric Malbone in his "neck-of-the-woods" at Sodalis Nature Park. This park is a fairly small park at only 210 acres, but it has a nice variety of habitats and even has a small 5.5 acre lake. 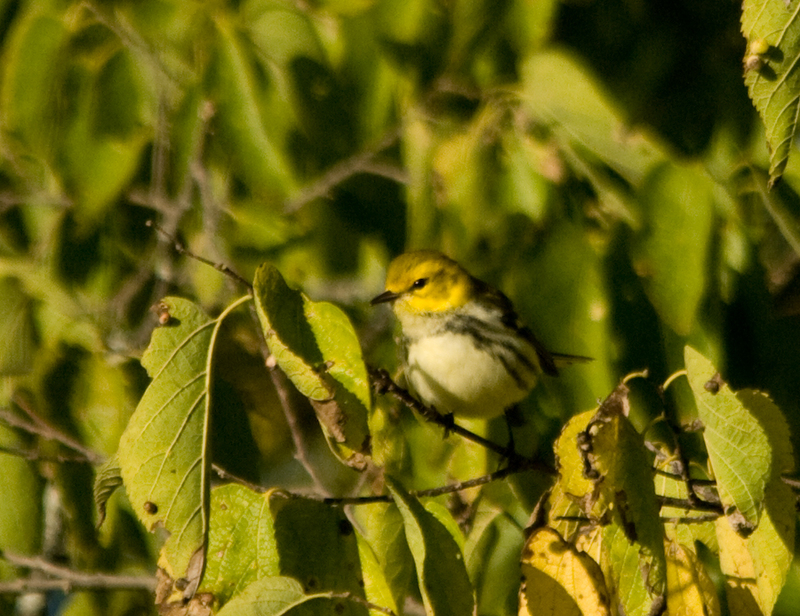 As soon as you step out of your car you can start finding migrant warblers; the trees surrounding the parking lot are alive with birds as soon as the early morning sun arrives. Most of our warblers today were in the general vicinity of the parking lot as well as around the edge of the lake. The trails go through some mature woodland and eventually through some nice scrub habitat that is being restored into forest. 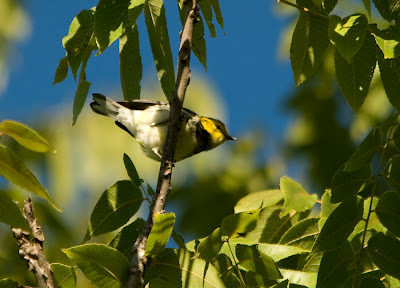 These areas provide some great possibilities for birding and some nice nesting habitat for birds such as Prairie Warbler which are somewhat uncommon nesters in central Indiana. 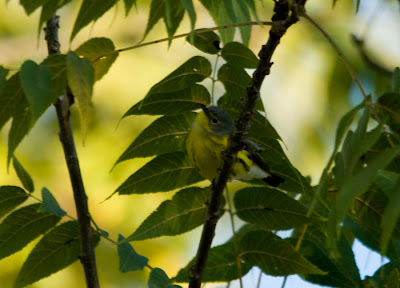 We also ended up seeing many other migrant species including Swainson's and Gray-cheeked Thrush, both tanager species, and a Yellow-bellied Sapsucker. Our warbler list ended at 14 species. It was a great day to experience fall migration in Indiana!